With Hollywood Week over and "American Idol's" top 24 contestants chosen, last year's winner has some words of wisdom for the new crop of potential stars. 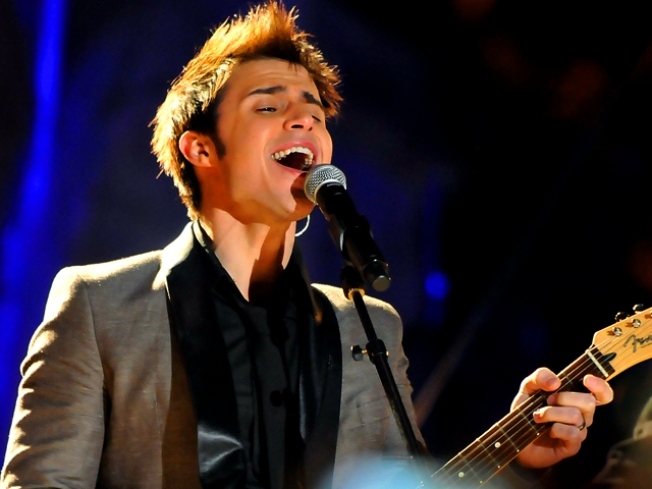 "Jumping jacks always help," Kris Allen advised during an appearance on Radio Disney. "Don't be nervous. People can tell, so just go out, be comfortable and be yourself." And the singer already has his eye on one of the contestants. "I thought Andrew Garcia was really good," he said, before adding that he didn't think a guy would take this year's title. "It's going to be a girl, maybe a country girl." The star also weighed in on new judge Ellen DeGeneres' addition to the show, where she's replaced Paula Abdul. "She has a really great personality. She's a lot of fun," Kris said. "She's really quick and is really good for live TV." Kris himself will make an "Idol" return this season following a visit to Haiti with the U.N.
"I'm going to help to raise awareness about what's still going on in Haiti," he said.